Bill Bush is Managing Director of the HSM Multifamily Development Group, responsible for the development of Multifamily properties for the Henry S. Miller Companies. The HSM Multifamily Development Group focus varies from resort oriented home development to Urban and Suburban Multifamily development opportunities in the Texas markets. 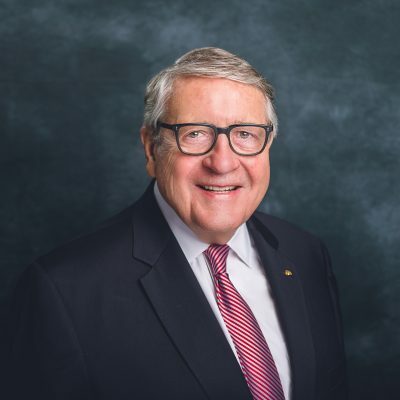 Prior to his affiliation with the Henry S. Miller Companies as a development partner in 2006, Bush was President and CEO of a diversified real estate development, management and investment company that he founded in 1971. Initially, the company collaborated with a UK real estate investment company and entered into the development of commercial and multifamily properties in Texas. Mr. Bush also served as a director of the UK Company and ultimately purchased their interest in the Texas properties. Subsequently, the company was ranked in the Top 100 Builders in the country with completion of 36 multifamily developments totaling 8,259 units, single family development of 296 homes in 7 subdivisions, office and shopping center developments as well as 6 multi-use subdivision developments totaling more than 800 acres.